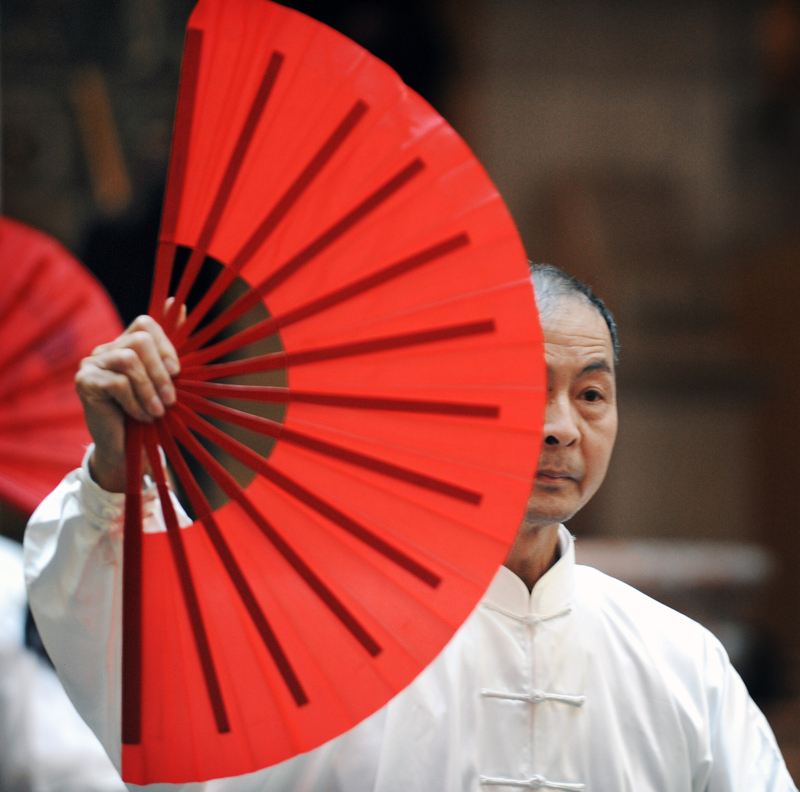 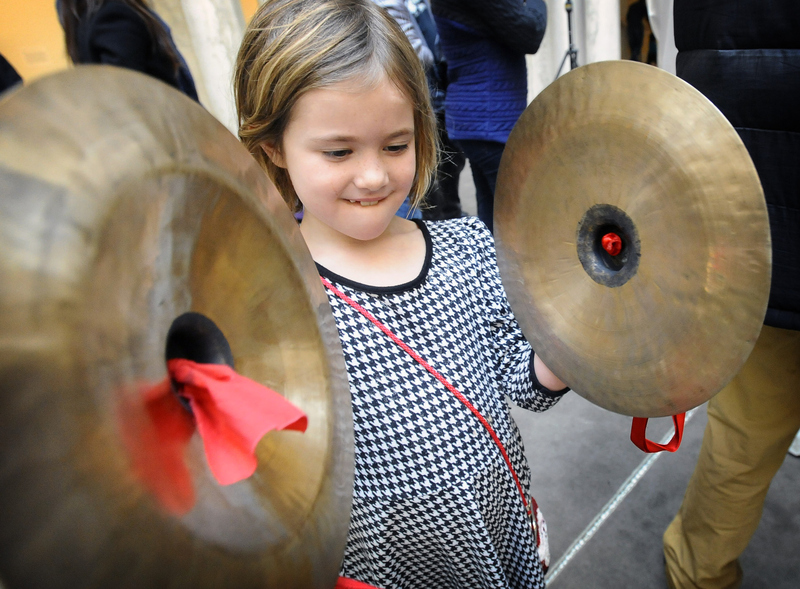 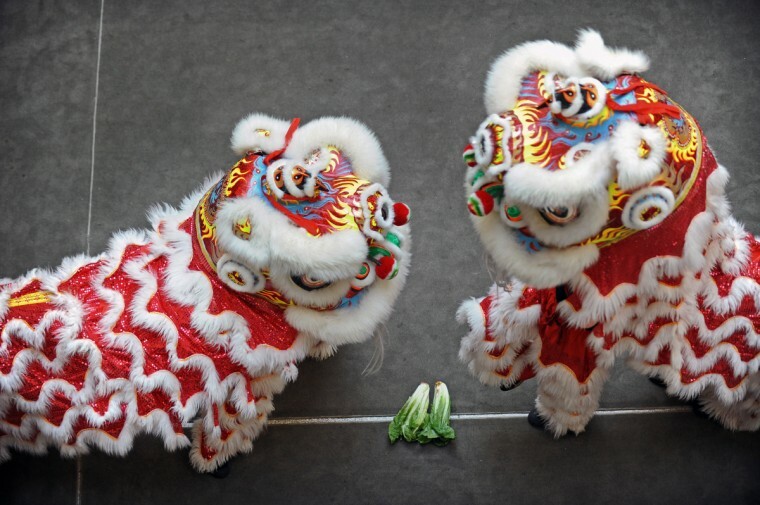 2015 Chinese New Years celebrates the Year of the Sheep. 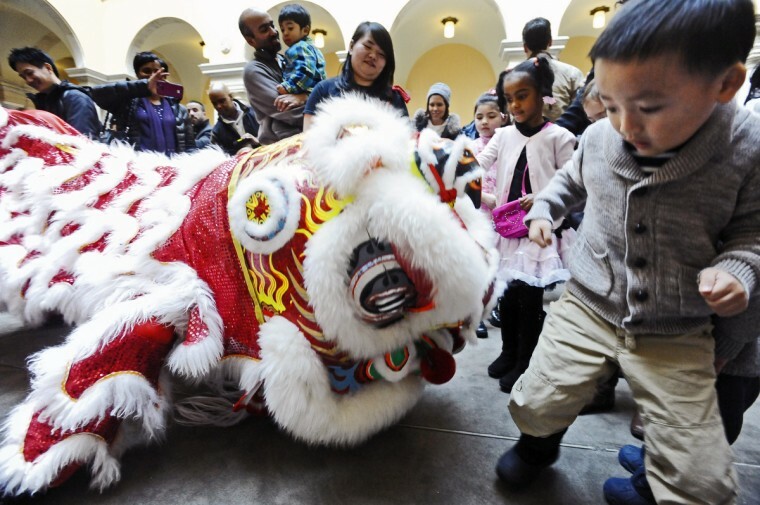 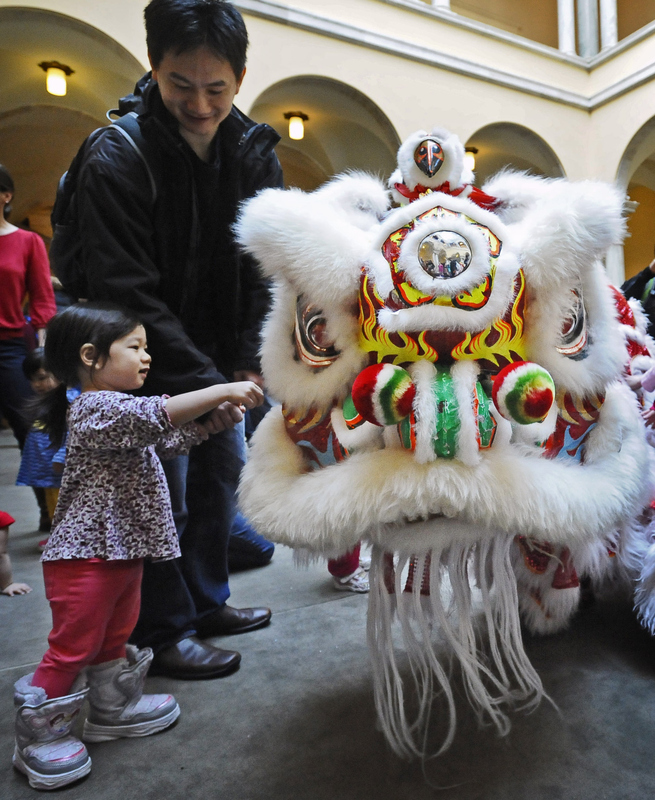 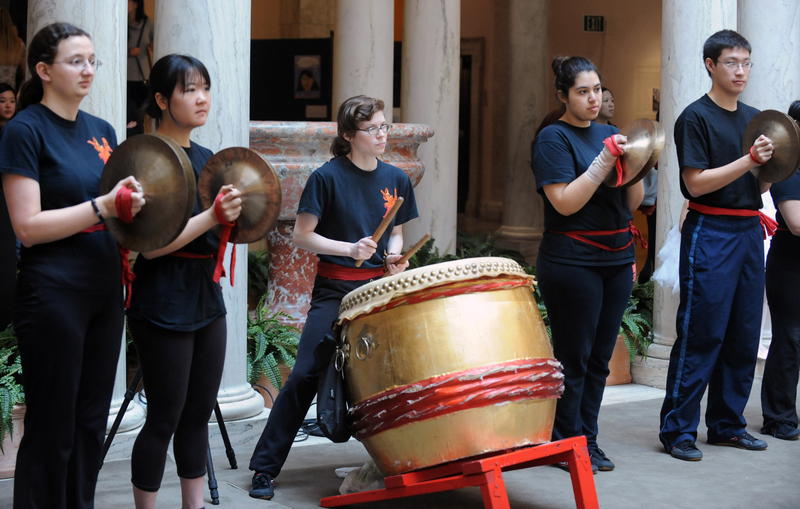 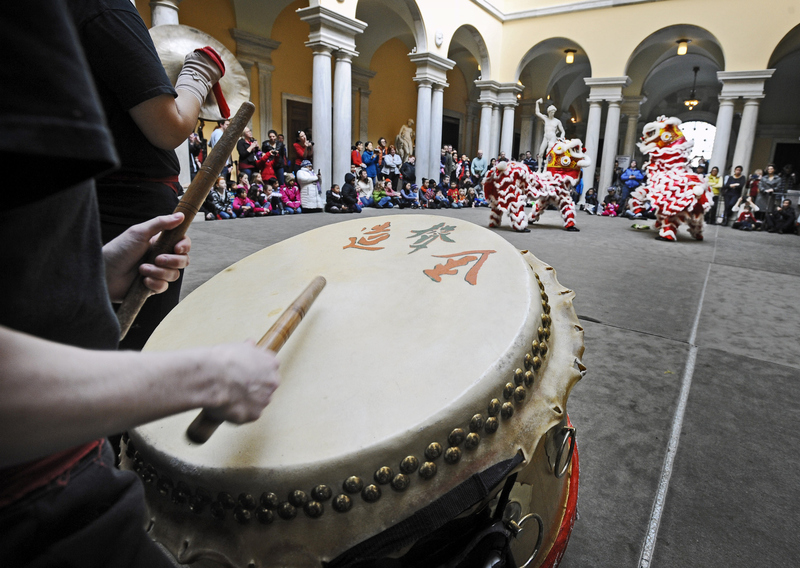 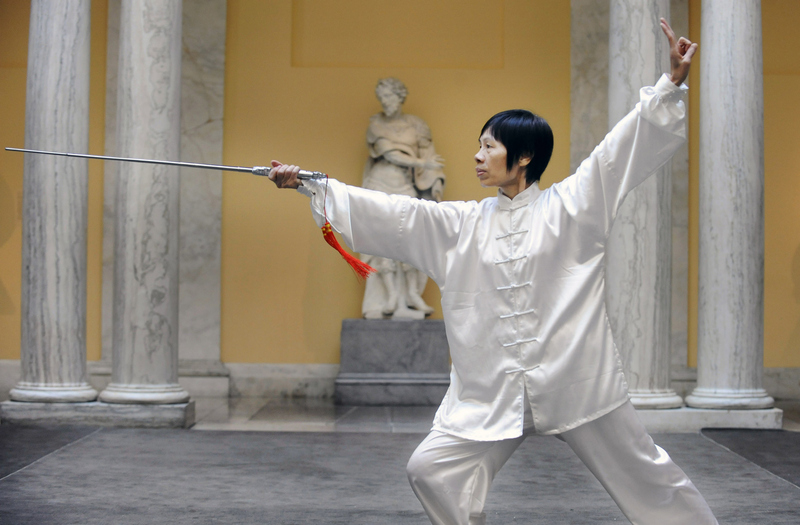 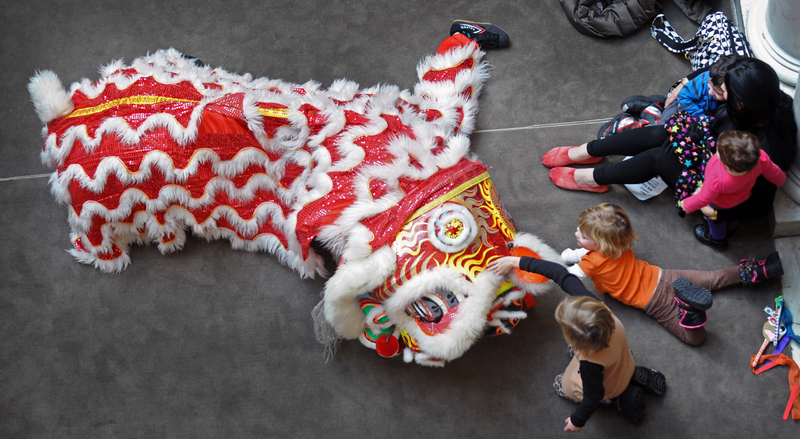 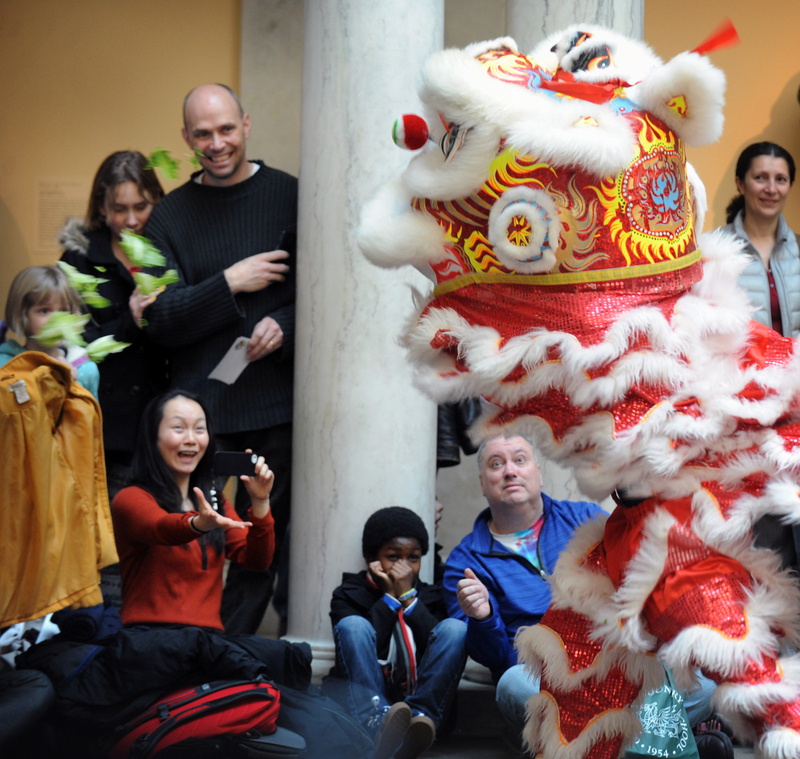 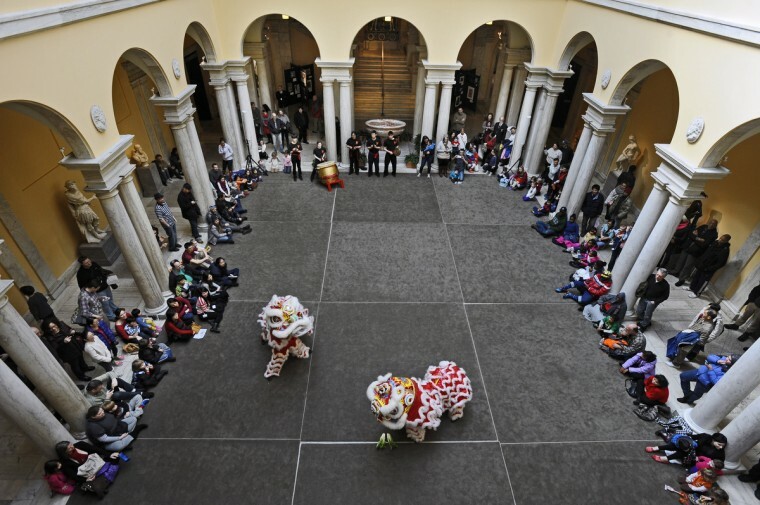 This past Sunday the Johns Hopkins University Yong Han Lion Dance Troupe paid tribute to the event at the Walters Art Museum in Mount Vernon. 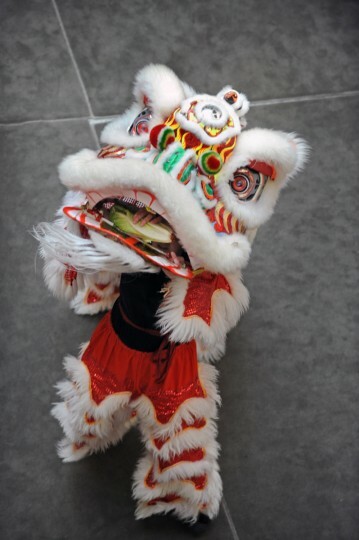 They donned paper maché Southern style lion heads and thrilled their audience as they juked and jumped and brought the costumes to life as they danced to warn off bad spirits. 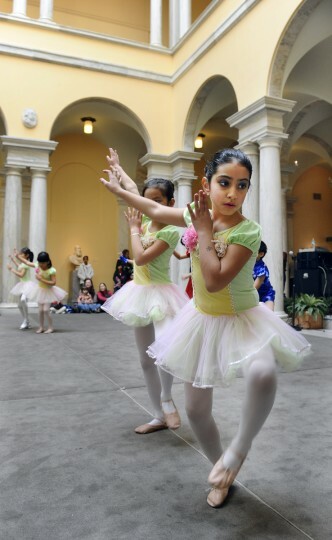 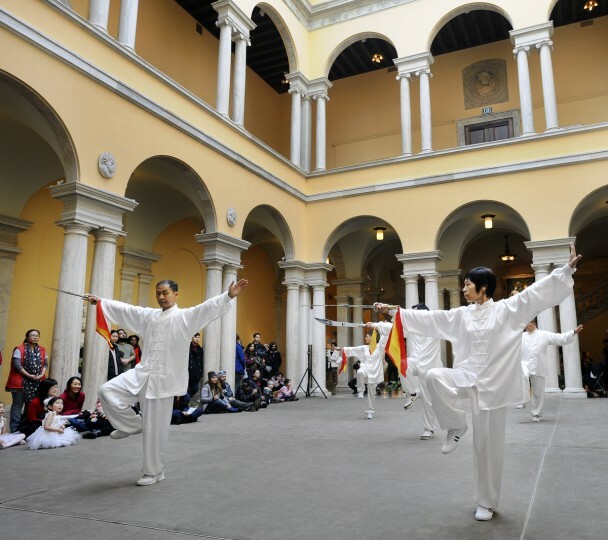 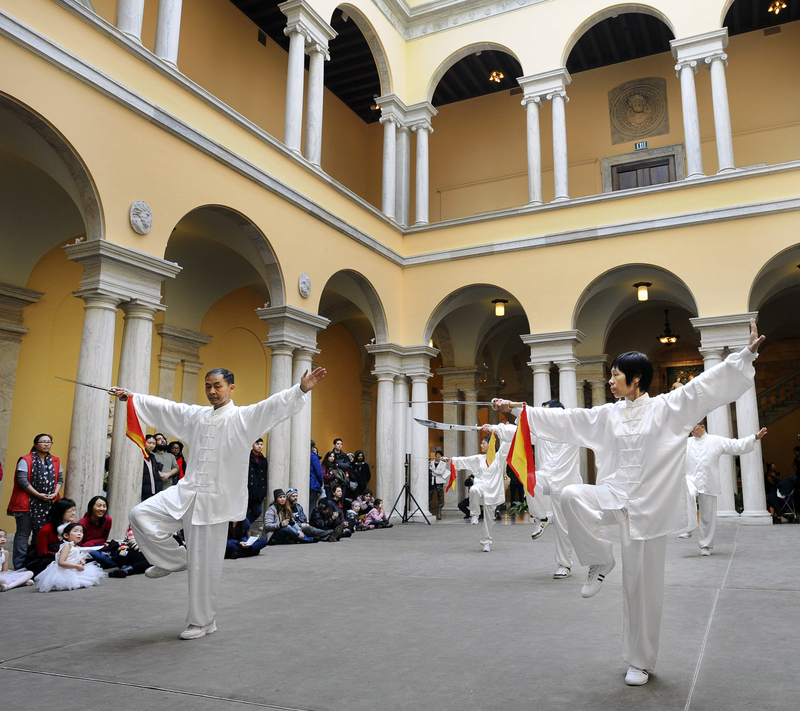 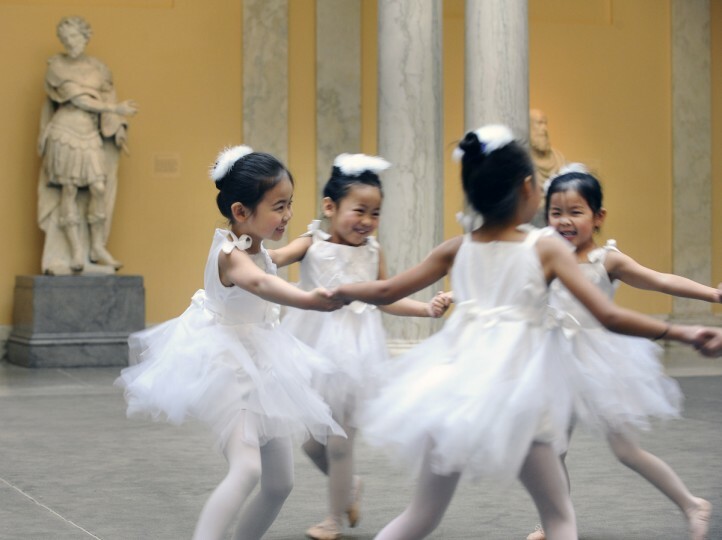 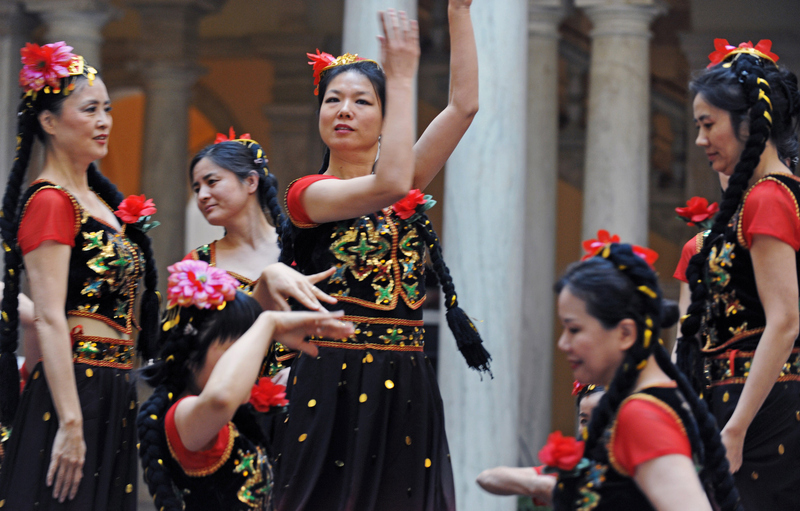 There were several dance demonstrations from the Baltimore Chinese School from the cultural dance group and the school’s ballet class.